The Infant Optics baby monitor is our second video monitor for our son. Our first Motorola died without warning about a year and a half after we started using it. Of course, shortly after the year warranty was up. We were in a pinch and needed a new one ASAP so after some research we decided to not gamble and just go with the best baby monitor of 2019. We received ours the same day and were immediately impressed by the amazing video and sound quality compared to our old monitor. 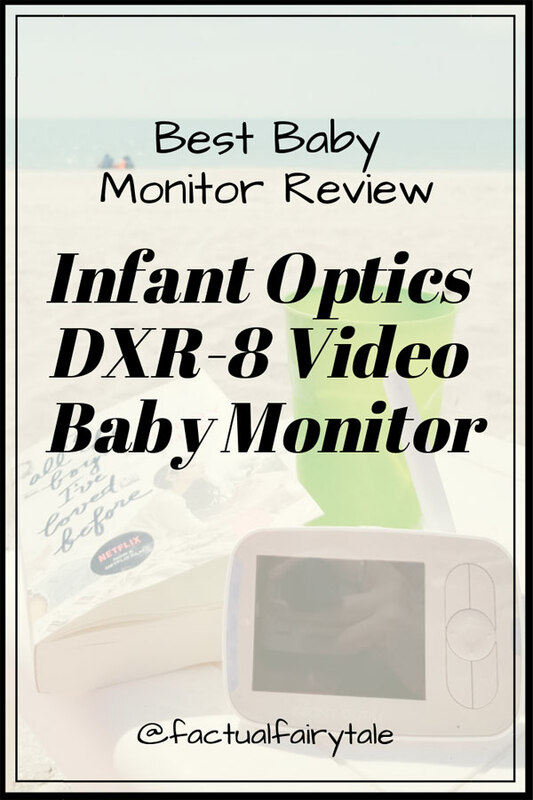 It’s long overdue but here is our Infant Optics DXR-8 video baby monitor review. The Infant Optics baby monitor is hands down the best baby monitor of 2018. It has all the key features you want in a monitor plus the video and sound quality is amazing. When you compare it to other monitors in this category it is no question which is the best bang for your buck. In my Infant Optics DXR-8 video baby monitor review, I’ll hit all the key sell points and how it’s different from others on the market. Starting off this Infant Optics DXR-8 video baby monitor review with arguably the most important part of a video monitor. You want to be able to move the monitor around the crib and room and you’ll probably want to be able to zoom periodically. We can see the entire room with just one camera mounted on the wall above the crib. BONUS the Infant Optics DXR-8 video baby monitor comes with 3 lenses so you get the best view of your crib and kiddos room! The image quality on the Infant Optics DXR-8 video baby monitor is crystal clear and so sharp it’s truly amazing. It makes our old Motorola (which was not cheap mind you) look like it was from the ’80s. 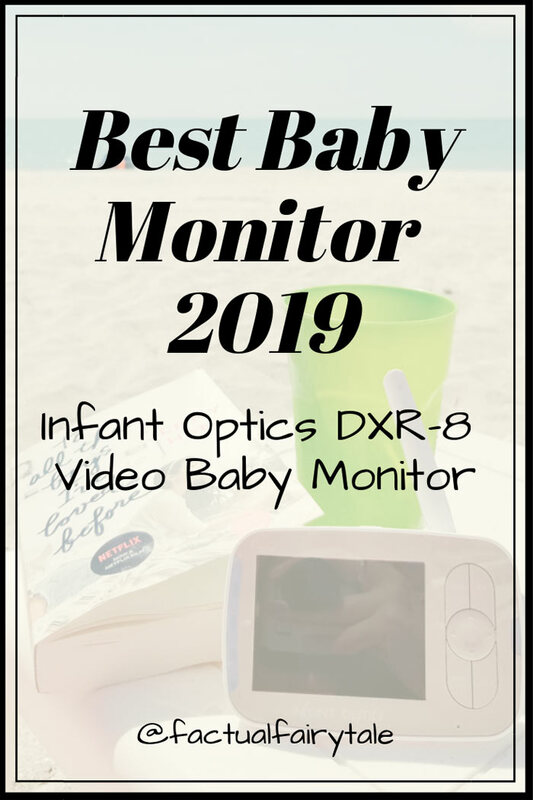 This is easily the best video baby monitor of 2019 and image quality is another key point of my Infant Optics DXR-8 video baby monitor review. One thing I love about this monitor compared to our previous Motorola is that it reduces background noise so you really only hear when your baby or toddler are crying or talking. This is great because we have a white noise machine in our son’s room and the old monitor was so loud all the time, even when baby was sleeping. How Long Does the Infant Optics Battery Last? One of the main questions I get is ‘how long does the Infant Optics battery last?’ Well, in short, a long time. 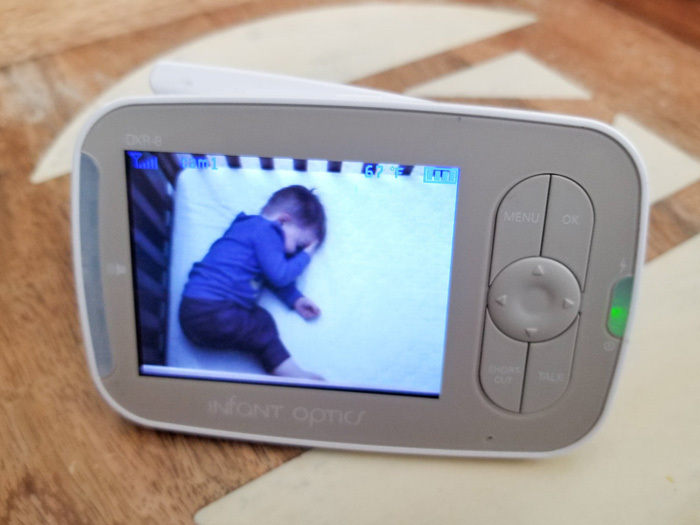 We use the Infant Optics baby monitor for naps and bedtime. At night we have it plugged in and during the day I carry it around with me as needed. I can easily get through a long nap with no issues and have used it for up to 6 hours without plugging it in. A key to extending your battery life is turning down the screen brightness. We always have the screen on but turning off the screen would greatly extend the battery life to up to 10 hours according to the company. Night vision baby monitors guarantee you always have a clear picture of your baby no matter the lighting. Add that to the already amazing image quality and you’re set. It automatically chooses the best vision for the room so you’ll often see it switching back and forth during nap times based on the sun coming in the room at the time. Clutch. While this isn’t the longest on the market, at 700 feet, you’ll easily get around your average home and yard with no issues. This two-way audio baby monitor allows you to communicate with your baby or partner from another room. When our son was a baby my husband and I used this to talk to each other. Now that our son is a toddler we use it to tell him to lay down (which shockingly works!) when he’s having a hard time falling asleep. We rely on the temperature gauge all. The. Time. We like to sleep with our room pretty cold but that’s not a good idea for little ones. We use this to ensure his temperature is warm enough in the winter and cool enough in the summer. 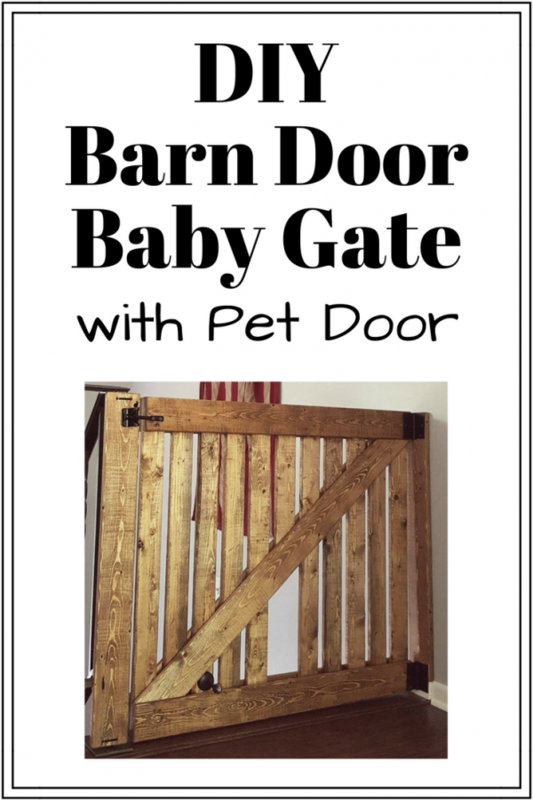 We don’t use this feature now but once we have 2 kiddos we definitely will! The Infant Optics baby monitor will auto switch between up to 4 cameras continuously so you’re always monitoring all the littles at once. The Infant Optics DXR-8 video baby monitor doesn’t use wifi which means you won’t have to worry about losing your signal or getting hacked. The Infant Optics baby monitor uses an encrypted FHSS radio signal which means super secure! Great to have especially when you’re working outside. It alerts you when you’ve gone too far from the camera, the connection is poor due to a camera coming unplugged, or low battery. 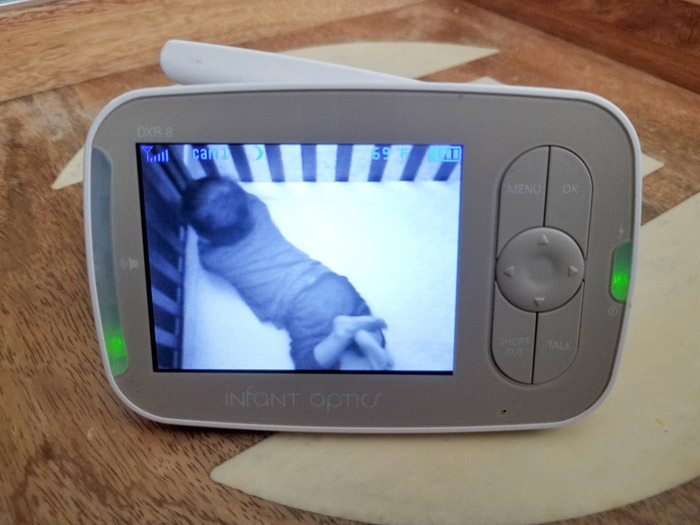 The Infant Optics baby monitor displays an alert on the screen and can also play an alert sound (you can turn this feature off if you prefer no sound). 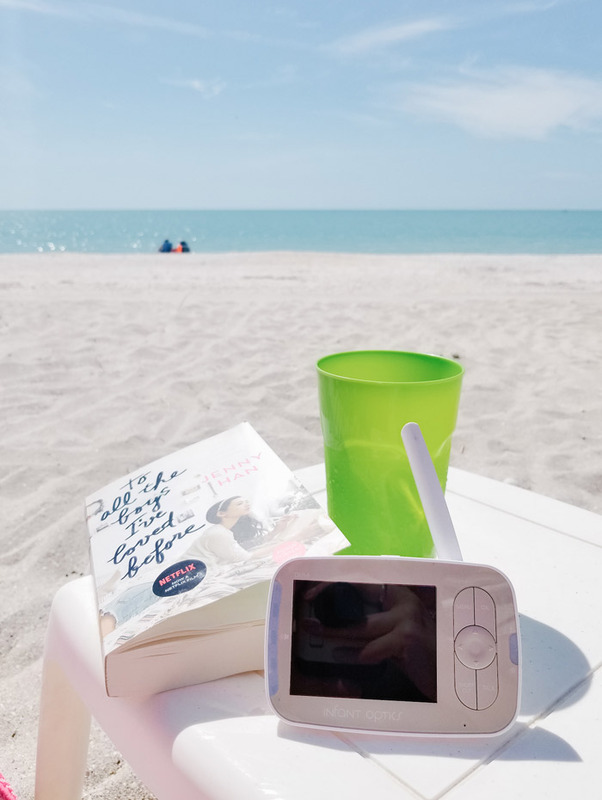 This feature was great when we took the Infant Optics baby monitor on vacation recently. When our son was napping we would bring this outside and we knew how far we could get from the beach house and still be in range. The 3.5″ screen is large enough to see details while keeping the unit small enough to fit in your pocket. The Infant Optics baby monitor also has real buttons rather than touch screen buttons which give you more precise control. Our previous Motorola had a larger screen which meant touch screen buttons that were really sporadic and took a few tries to get to work. 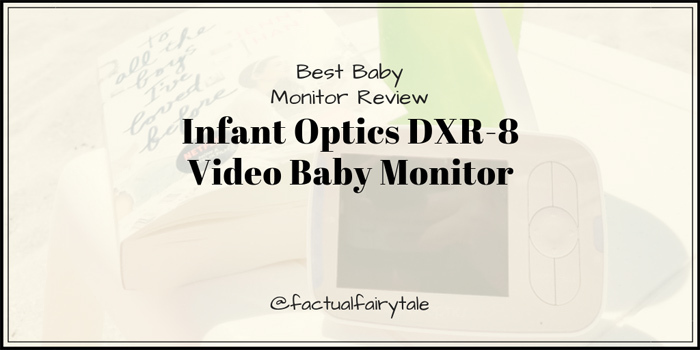 We’ll round out this Infant Optics DXR-8 video baby monitor review with the extras. As I mentioned above, you can connect up to 4 cameras per monitor unit meaning you can watch multiple rooms and multiple kiddos all at once! You can also buy extra camera cords to easily move your cameras around the house without restringing wires. We keep an extra cord in our camper so we can just grab the camera from the house without removing our cord covers when we travel. Great for visiting grandparents and family as well! The only thing the Infant Optics baby monitor does not do that our Motorola did is play built-in lullabies controlled from the monitor screen. To get around this we purchased a super inexpensive remote controlled sound machine for our kiddo’s room. It’s actually amazing to have and really easy to travel with. This is for sure a must have! 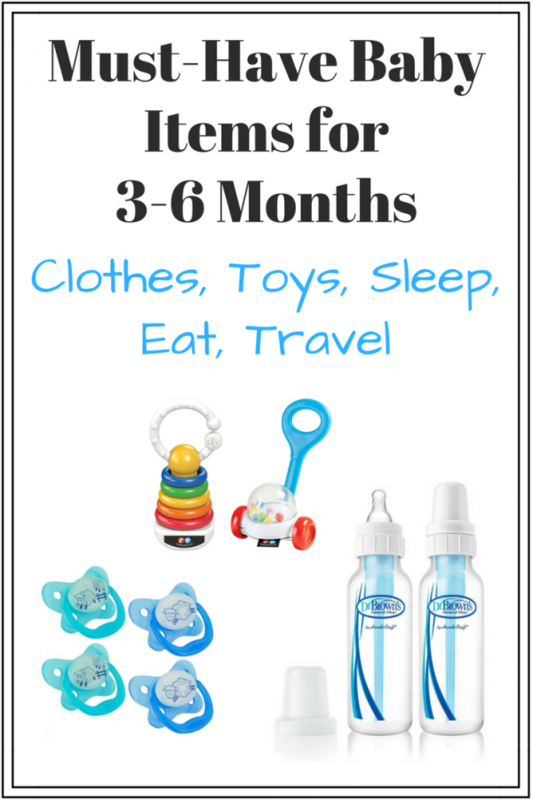 All of these things make me confident in the quality and value of the Infant Optics baby monitor. With over 28,000 reviews and 4.4 stars on Amazon, you know you’re getting an awesome product that so many parents love. 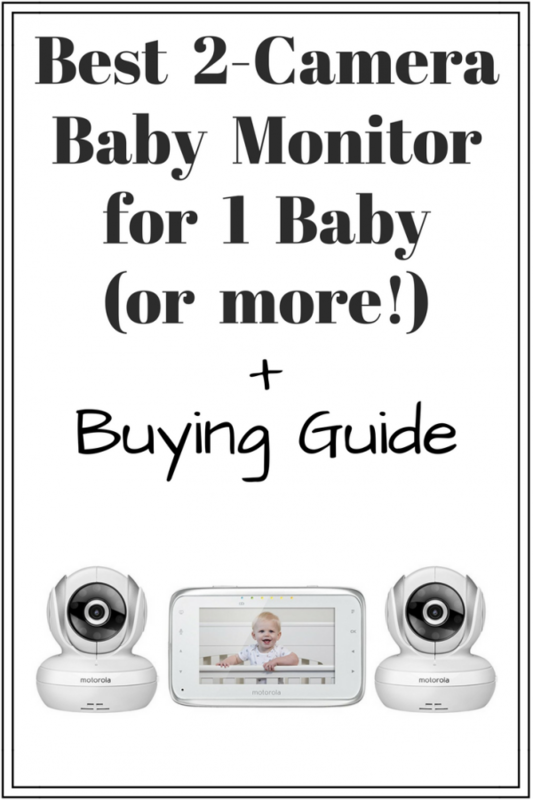 Since this is something you’ll be using for years and years (depending on how many kiddos you have) I think it’s worth spending a little extra money to get the best baby monitor of 2019. 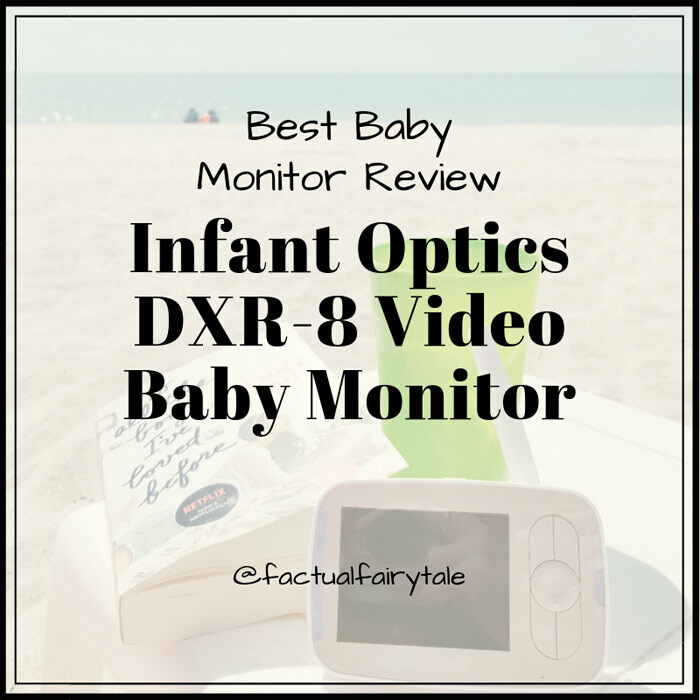 Do you have the Infant Optics baby monitor? What do you love about it? Share your review in the comments below!